Joe and Norma De Bloom blog about pets needs and have had many pets. Right now they're the servants of one gorgeous kitty. (photo courtesy of Gabriella Fabbri). If you’re not familiar with the things you need to do as part of your regular dog care routine, read on. And the Worlds' Most Beautiful Dog Winner is - meeeeeeeee! Again? Shucks. This is arguably the corner stone of every pet grooming routine – for any type of pet. For dogs, stroke them daily and while you’re at it, use your hands to check all parts of his or her body. This is important so you can notice any changes you might want to see the vet about, such as lumps, or skin irritation. You can also discover areas that the dog clearly finds painful to have touched that you might not notice just by looking. Although many people think of brushing and bathing when it comes to grooming, one essential task is teeth cleaning. Dog’s teeth are fairly prone to periodontal disease and gum disease – an estimated 85% of dogs over 5 years old develop dental disease. 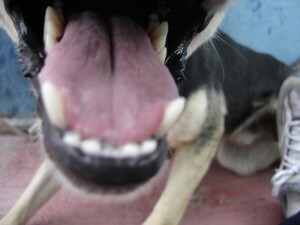 All of which is preventable by simply brushing your dogs teeth regularly. As the years go by, food particles accumulate around the gum line, attracting bacteria. This mix forms into harder deposits called plaque, which in turn develops into a much harder type of deposit (tartar). Tartar in time leads to inflammation of the gums, which gradually migrate away from the teeth. The migration leads to spaces for even more bacteria to flourish in – which in turn makes dental diseases worse. The result can be acute toothache, abscesses, tooth loss and worse still, bacterial infections that can spread throughout the body to vital organs. Once underway, periodontal diseases are sadly unstoppable. Including dental health in your grooming routine is therefore vital for prevention – and its never too late to start. 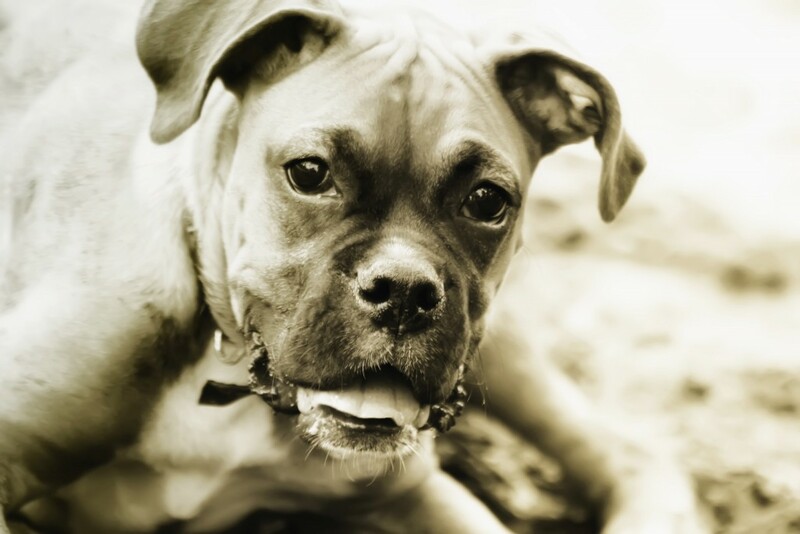 The ASPCA (1) suggests cleaning dogs teeth daily, but acknowledge this isn’t always possible and give several cleanings per week as an alternative goal if you can’t manage it daily. Even so, smaller dogs, particularly those breeds with wider, flat snouts (think of pugs as an example) might need more frequent brushing. This is due to them having more ‘tooth-dense’ dental cavities – the teeth are simply more crowded in their little mouths. Do I need a special toothbrush & toothpaste? Dogs like me have more teeth in a smaller space. So we're more handsome, right? You wanna ride someplace? Huh? Huh? Yes -you can now easily buy a special pet toothbrush and meaty-flavoured pet toothpaste. You cannot get away with using human toothbrushes or toothpaste for dogs – the designs are totally unsuitable comfort-wise and they simply won’t do the job properly anyway to remove plaque. Plus, you may end up with a dog with an upset stomach due to swallowing a lot of human toothpaste during cleaning – they tend to swallow a fair bit of paste. These days you can buy special rubber dog toothbrushes, some have designs you can slide onto your fingers (think giant rubber thimble-style). If that doesn’t work, a piece of clean gauze around your fingers will do – but be careful in case your fingers are injured whilst cleaning the teeth, as not all dogs readily take to it at first. Dog toothpaste comes in many different flavours; it might be a case of trying a few to see which one your pooch takes to. 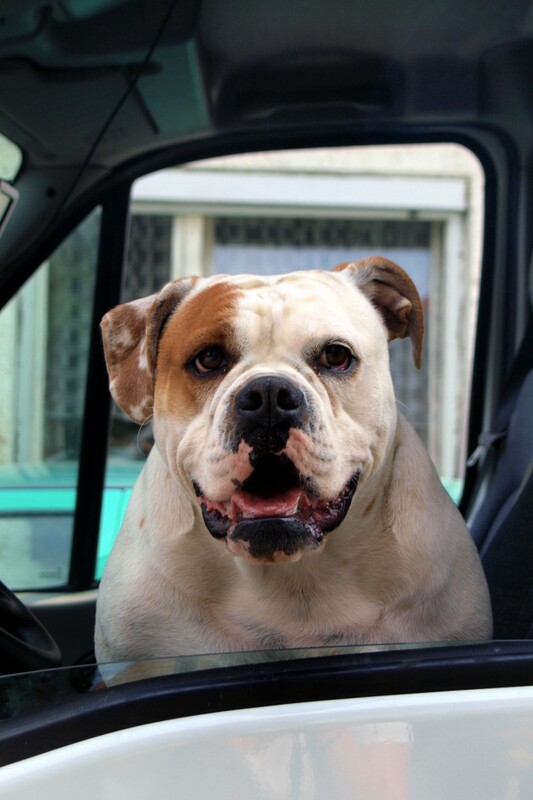 Start by doing the cleaning in small steps – you’re aiming to make it an everyday, ok experience for your dog, so don’t be overly concerned with scrubbing every last crevice when you first start, it could simply frighten your dog instead. You could try by smearing something delicious for him onto the toothbrush or your finger moving it gently over his teeth and gums. Dog treats after brushing are good, to associate teeth cleaning as a fun activity, rather than stressful time of it. Graduate onto using your dog toothbrush/gauze and paste, using very gentle movements – never force, or punish your dog if he doesn’t like it. Persistence wins the day and when you think of the health benefits, it’s worth spending the time. IMPORTANT: This article is written for general educational purposes only. It is not a substitute for professional vetinary advice on any animals’ health or living needs – if you have any concerns about these, please consult a qualified vet. Thank you. If you’re not familiar with essential things you need to do as part of your cat grooming routine, read on. If you are already confident with the routines on this page, click on the right to investigate Cat Brushing, Bathing and Teeth Cleaning. You can make a routine check of your cat part of you grooming routine. At the very least, check your cat once a week. If you have a long-haired cat, you are strongly advised to have daily grooming sessions to prevent matted fur (see Brushing & Bathing Your Cat). You can use your grooming sessions to handle your cat gently, running your hands all over the body. Look for any lumps, bumps, wounds, hidden tangles or fleas. One tell-tale sign of fleas is black flecks of dried blood. Also look for tics. They look like little round balls or pear-shaped objects, probably a bit shiny, which you’ll find ‘sprouting out’ in amongst the cats’ fur. If your cat seriously hunts outdoors, or you live in a warmer climate, you may be familiar with them by now! They may look pinky-tan coloured, or darker coloured (even blackish). Ticks need special removal – NEVER take hold of a tick and just pull. Tics are little creatures which have a bulbous body, head and specially evolved set of jaws to pierce skin. Once they have attached themselves by piercing through the skin, their jaws then move into a ‘lock on’ position inside the skin. If you simply pull one of, although you might get the bulbous body away, parts of its head and/or jaws can stay embedded firmly underneath the skin. For the same reason NEVER try to burn tics off either. It probably won’t get rid of them all, plus you may traumatise your kitten or cat, or accidentally burn it. If parts of the tic stay lodged under the skin it can cause infection, which may spread and become systemic, causing serious illness. Never leave a tic to ‘drop off on its own’ either – while its attached to the cat, its possible for it to spread bacteria causing mild to serious illness in the kitty. There are tic removal tools available on the market – ask your vet to recommend one along with a product to disinfect your cat’s skin. Follow the instructions to the letter and clean the affected skin thoroughly with the disinfectant afterwards. Vets routinely remove tics if you ask them to, and if you’re a little squeamish about, err, nature’s smaller creatures, this may be for you – once removed, you may witness the tic indignantly waving its legs about. Look underneath your cat’s tail – if there are pieces of feces attached to the fur around the rear end, you may want to gently cut off the affected fur with scissors. It’s also a good time to check for tapeworm – a tell tale sign here is little tan nodules the size of rice grains. Cats must be given regular flea control and worming products – ask your vetinarian to recommend the right brand for your moggie. = Take your cat to the vet for a diagnosis of what is causing these skin conditions. No worries. Is jus small tic. Ai gets dem a lot. Why yoo maek dat noize? Feline Advisory Bureau (FAB). 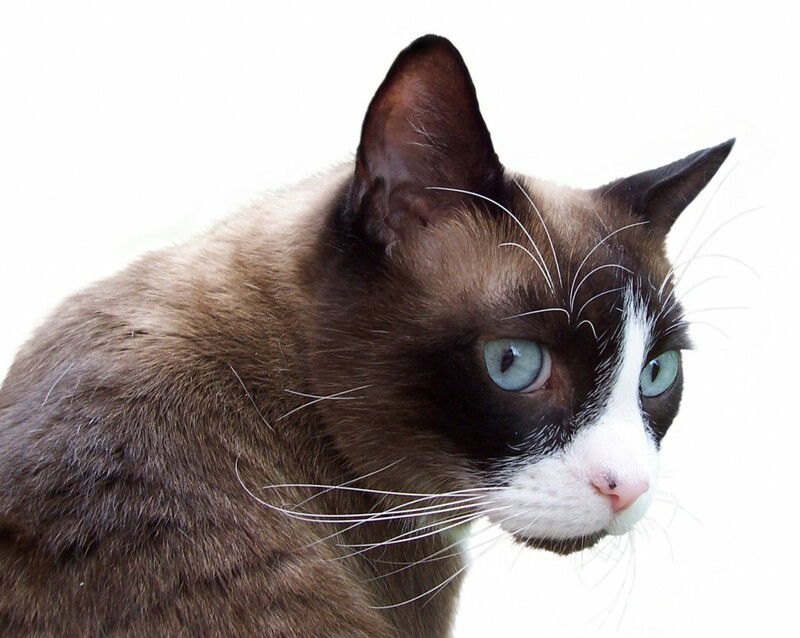 [online] The Itchy Cat – What To Do When It’s Not Fleas. Feline Advisory Bureau (FAB). 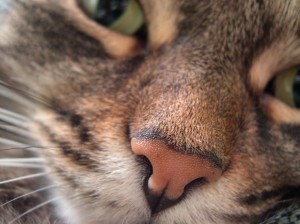 [online] Tackling Fleas on Cats. How often do I need to brush ? Depends on the breed. And opinion differs. The USA’s famous animal welfare charity the ASPCA mentions most dogs actually don’t need daily brushing – every few days should be enough (1). The UK’s RSPCA says dogs need daily brushing to keep their coats healthy. (2) Of course, this will vary tremendously by breed, so ask your vet to give you a plan of how often to brush and which brushes to use. There is a vast array of dog brushes on the market and what suits one dog won’t suit another – think of the difference between a longhaired Afghan hound and a Jack Russell terrier! How can I make brushing fun? 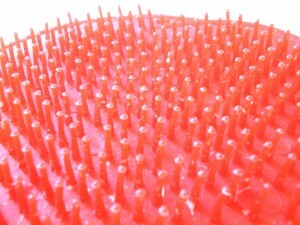 Some dogs positively enjoy brushing, like a mini-massage for them. For others, you may well have to take time to encourage them to see grooming as a fun activity. Find a ‘happy spot’ place in your home to brush your dog – somewhere that has previously been the source of stroking and some tasty treats from you. Whenever the dog brush comes into sight in this happy spot, there should also be the inviting smell and sight of some really yummy dog treats. Not just chew sticks mind – chicken, cheese, hot dogs, etc. Keep chatting to your dog in a very soft, calm voice throughout, and start to brush somewhere she or he is not so fussy about. If you know they’re sensitive on their back, for example, then don’t start there, try the shoulders they don’t seem to mind as much, etc. As you start to very gently brush, you can give your dog some of that tasty, tasty food. The idea is to make associations over time that grooming is a time for super-tasty snacks, in a reassuring, calm atmosphere, banishing your pooch’s memories of stress on sight of touch of the brush, and replacing it with a much happier experience. This will take time and don’t go for broke when you first start – so what if you can’t get all of the body brushed this time, there’s always tomorrow, and if your dog is developing tangles, you can always cal in the professionals. It’s about you building a workable, long term relationship which makes regular grooming possible. The ASPCA has some excellent factsheets on dog grooming, including tips for handling dogs who don’t like grooming (1). How often should I wash my dog’s coat? Dogs may not actually need bathing to stay healthy as often as their owners might like to think – once every 3 months may be enough (1, 3) . 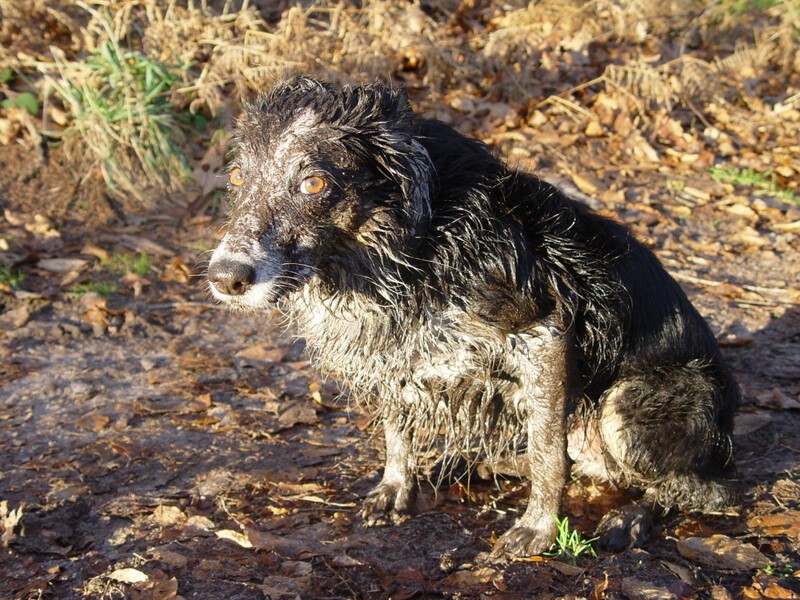 However, when they’ve been out happily sploshing around in whatever muddy puddle gave them that overjoyed doggie in heaven shine in the eye, most owners would prefer to get the slime and mud off before their beloved pooch hits the soft furnishings and carpet. You should be wary of over-washing you dog, as this can deplete the natural oils in the coat, which keep the hairs healthy. Ask you vet for advice on how often to wash your particular breed of dog. 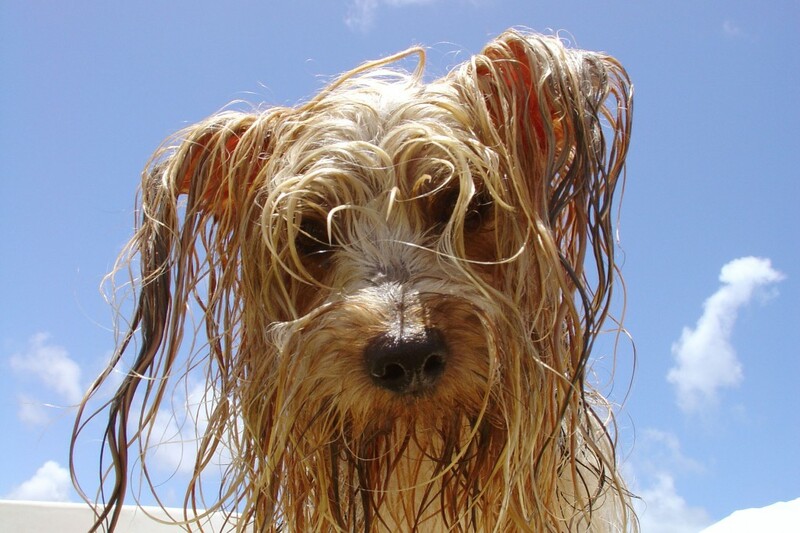 You may want to consider a gentle warm ‘hose-down’ or gently pouring over some pleasantly warm water to wash away the remains of all that outdoor fun instead of shampoos, if the coming home ‘dragged through a hedge backwards’ is a regular feature for your dog. Click on the right to check out Essential Dog Grooming for more basic dog grooming – teeth brushing is a must to prevent serious disease. 3. ASCA [online]. Grooming FAQ. ASPCA [online]. Bathing Your Dog.